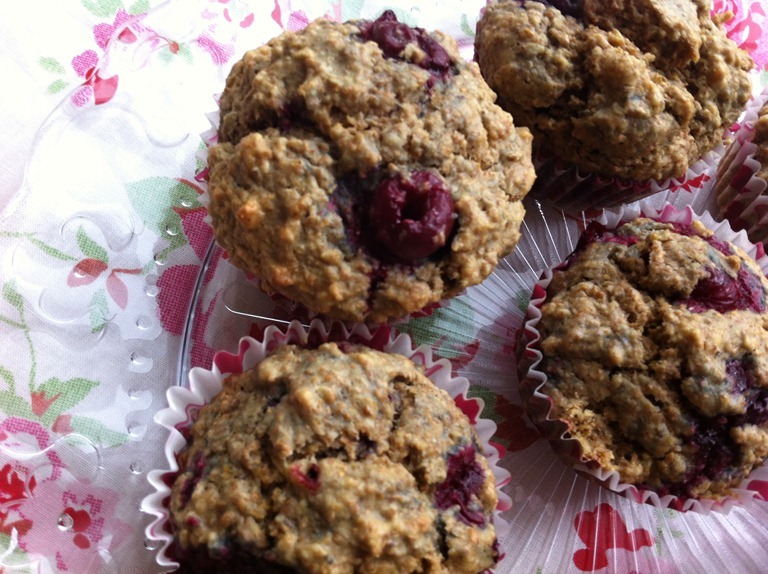 Celery and Cupcakes | …on a quest for that healthy balance! 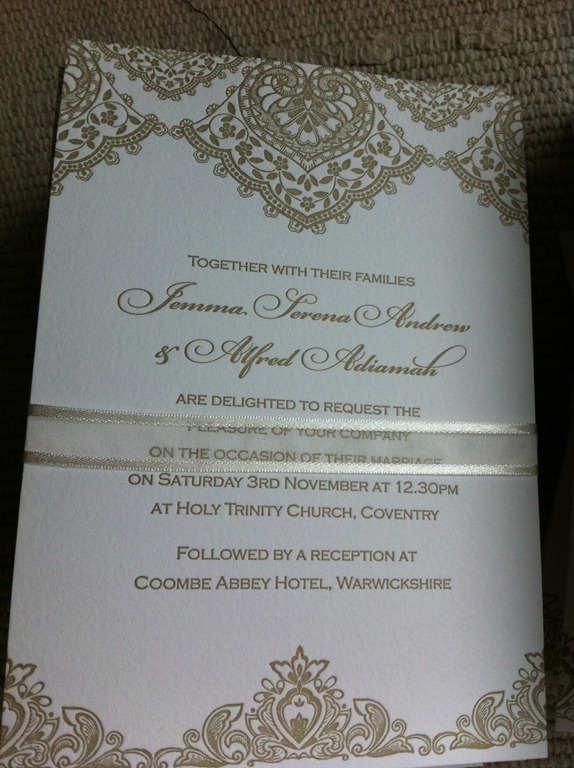 …or should that be wedding invite madness?! 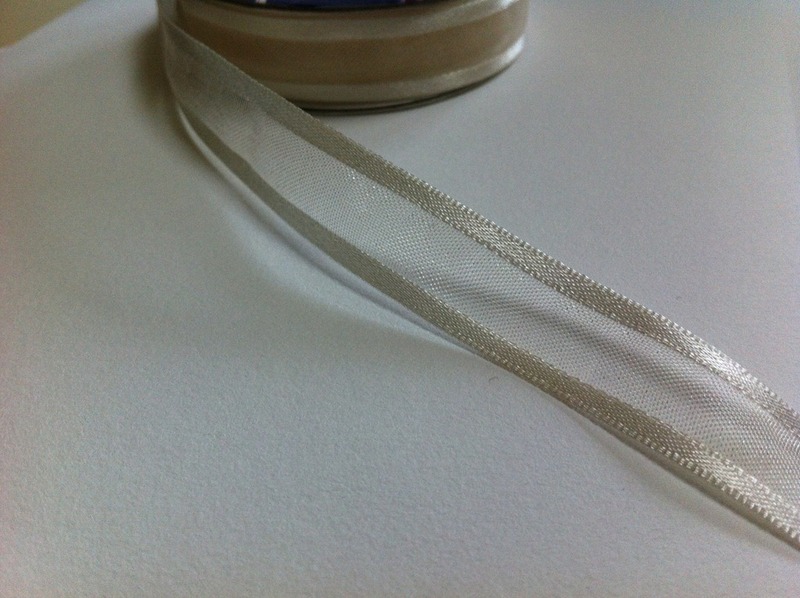 We have been extremely busy and getting crafty in order to get our wedding invitations posted out tomorrow. Ribbon, adhesive stickers, printing envelopes, ticking people off our guest list pretty much sums up our weekend. 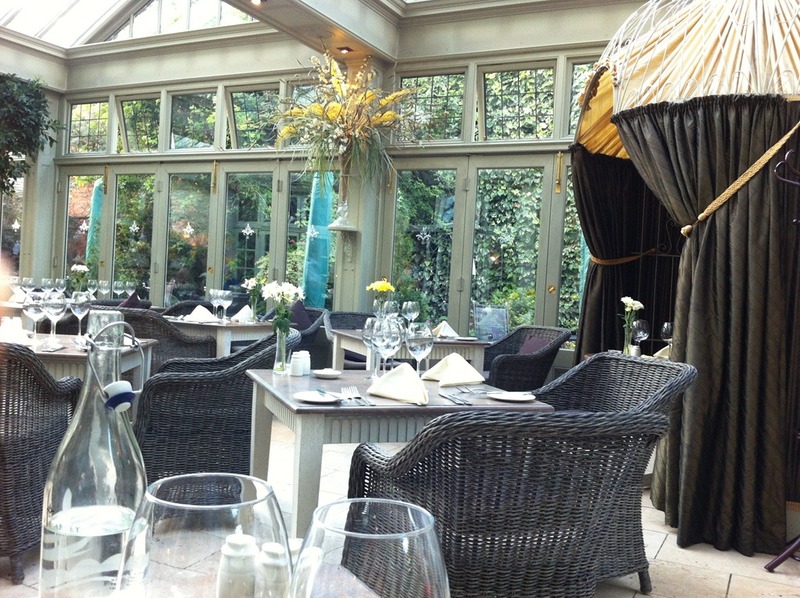 Despite all of the hard work that was involved we are very pleased with the end results. 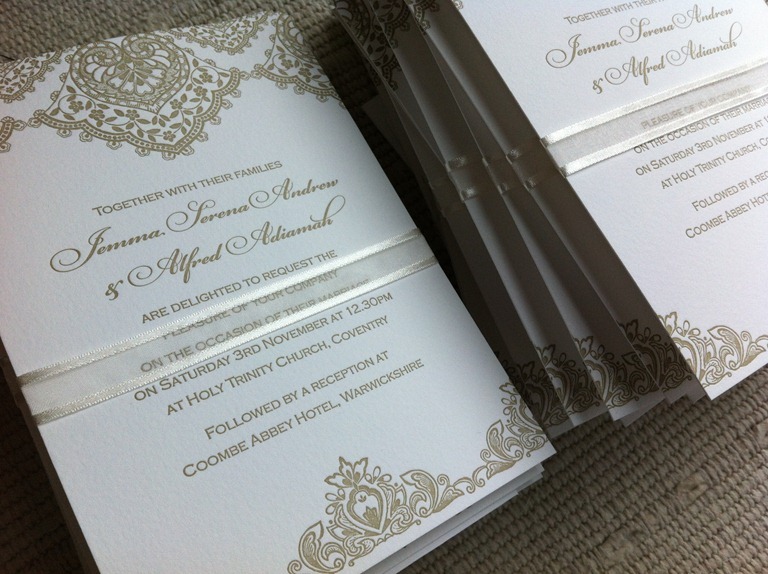 We are totally in love with our invitations and they are definitely the epitome of vintage glamour. 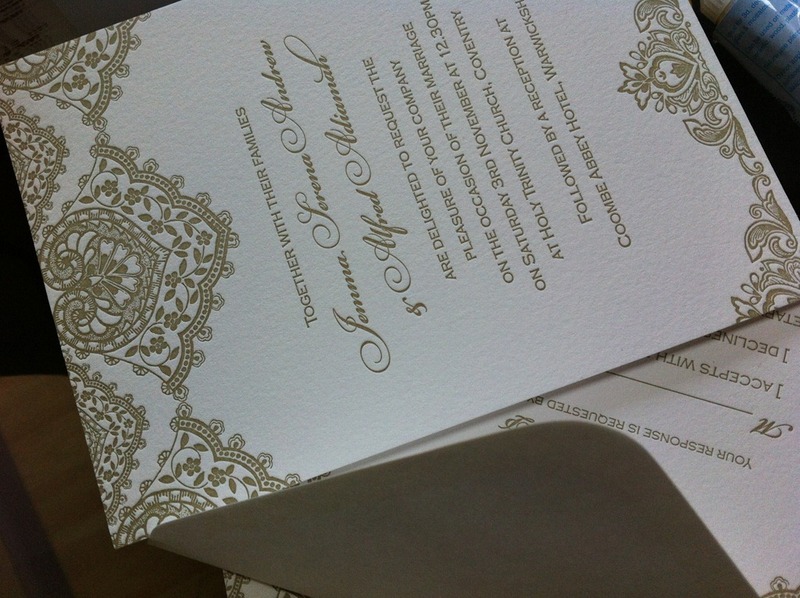 We ordered them from Strawberry Sorbet and not only do they make beautiful letterpress invitations but their customer service is impeccable too. Of course there was lots of delicious food consumed whilst sealing lots of envelopes, and by the way why does the gum paste on envelopes taste so gross, yuck! 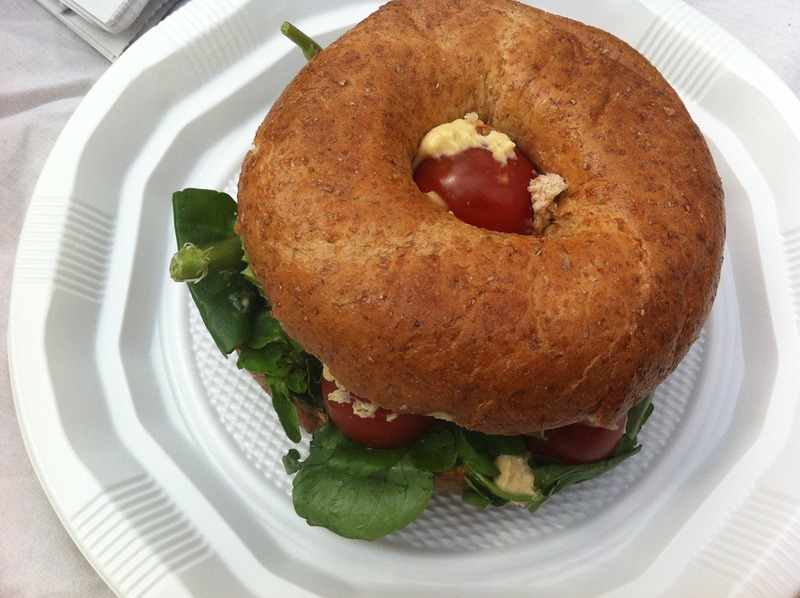 Tomato, spinach, onion and cheese omelet with a toasted wholemeal bagel with vegan spread. 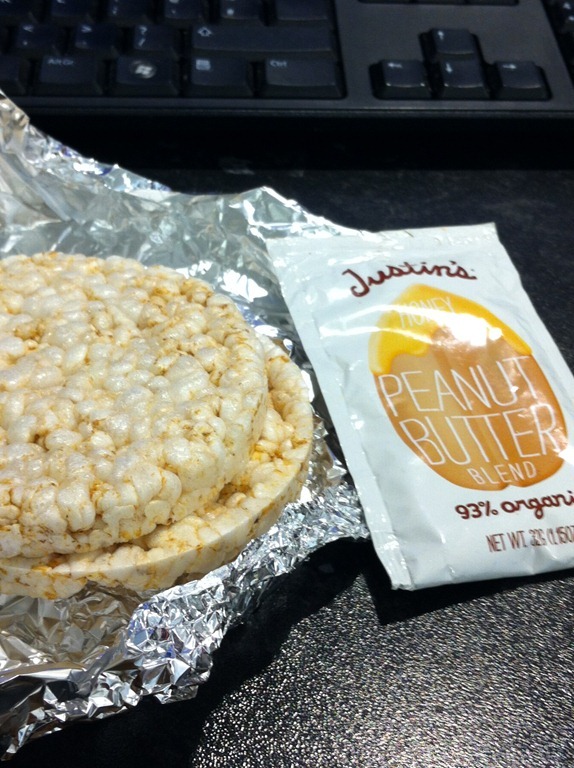 Rice cakes topped with Justin’s peanut butter with honey. 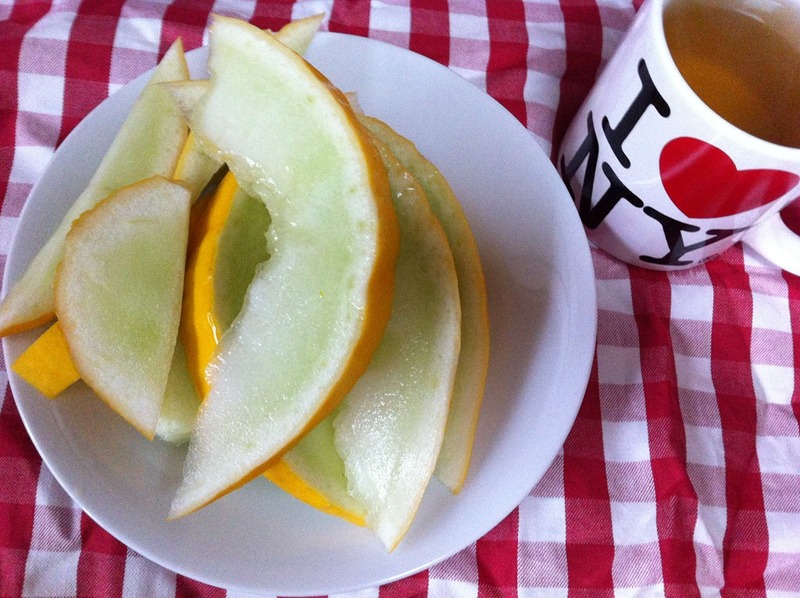 Super refreshing honey dew melon slices and green tea for a light breakfast. 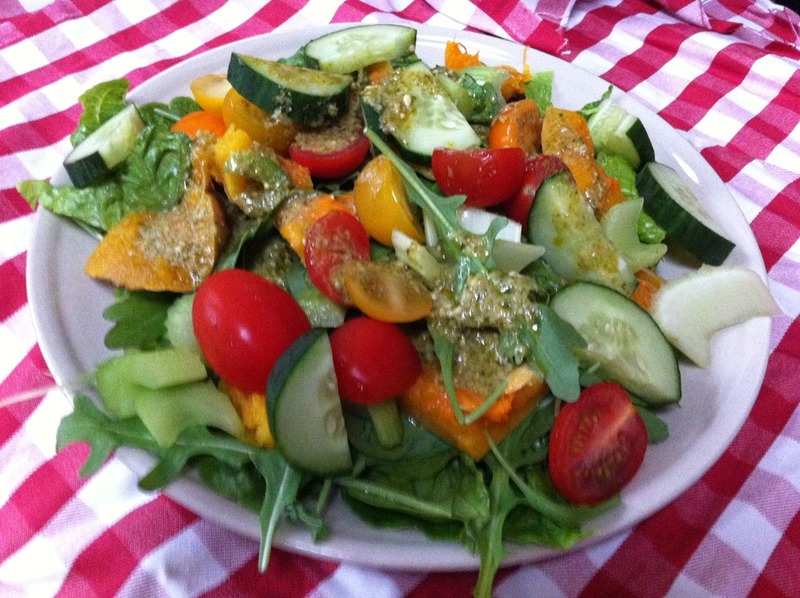 Salad beast of romaine lettuce, rocket, tomatoes, butternut squash, cucumber, celery and a green pesto dressing. 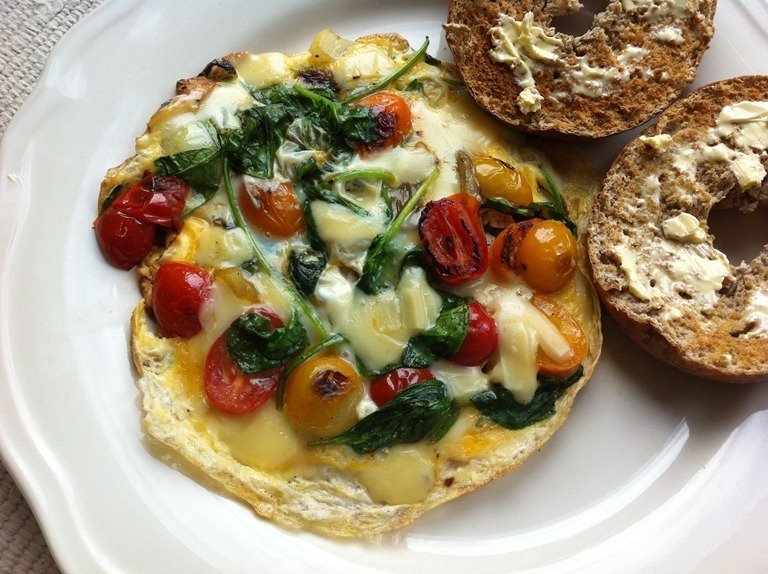 Using my boyfriend’s words, today’s breakfast was an epic kind of beautiful! 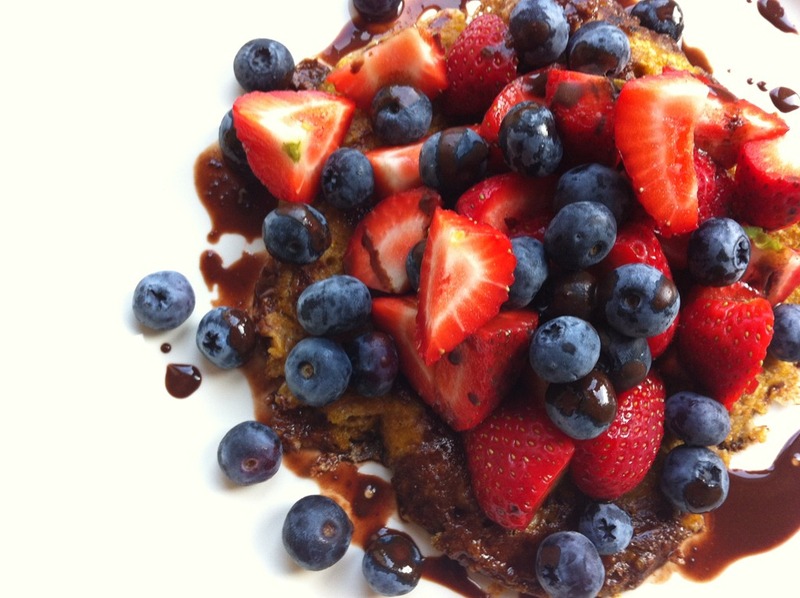 A vanilla and cinnamon wholemeal pancake topped with super sweet strawberries, blueberries and a raw chocolate sauce. 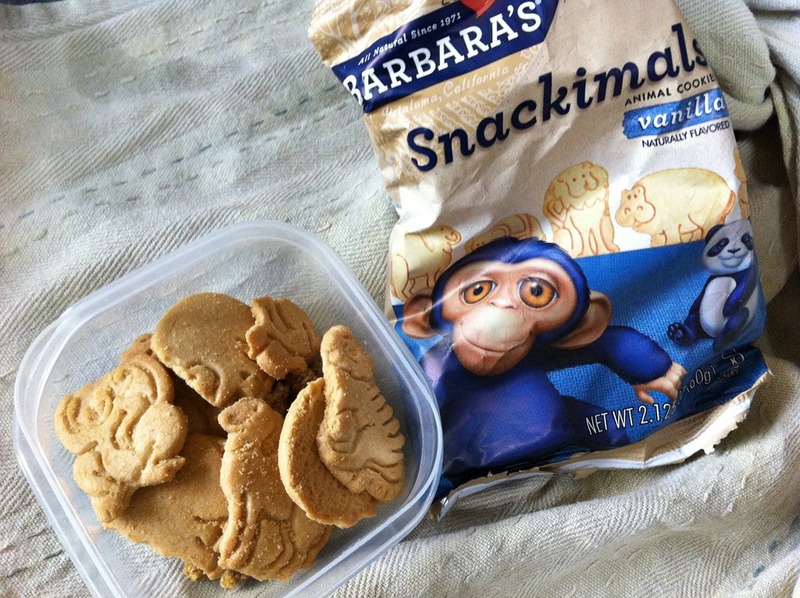 Barabara’s Bakery vanilla snack animals. Surprisingly I haven’t had a smoothies this weekend, shock horror! I think it was down to being lazy and not wanting to clean out the blender. After all of the work that the invitations have involved I did everything that I could to keep the washing up as minimal as possible. 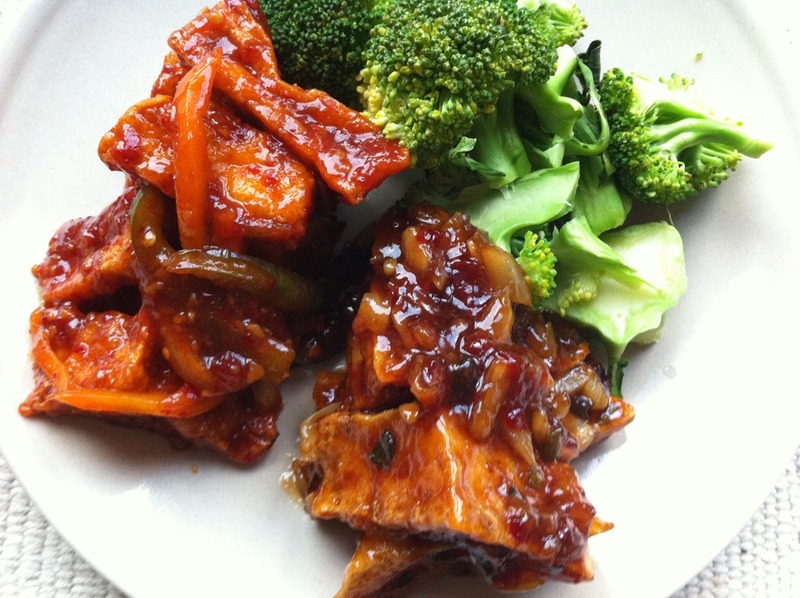 I just had some of the leftover tofu for dinner with more steamed veggies, yum! 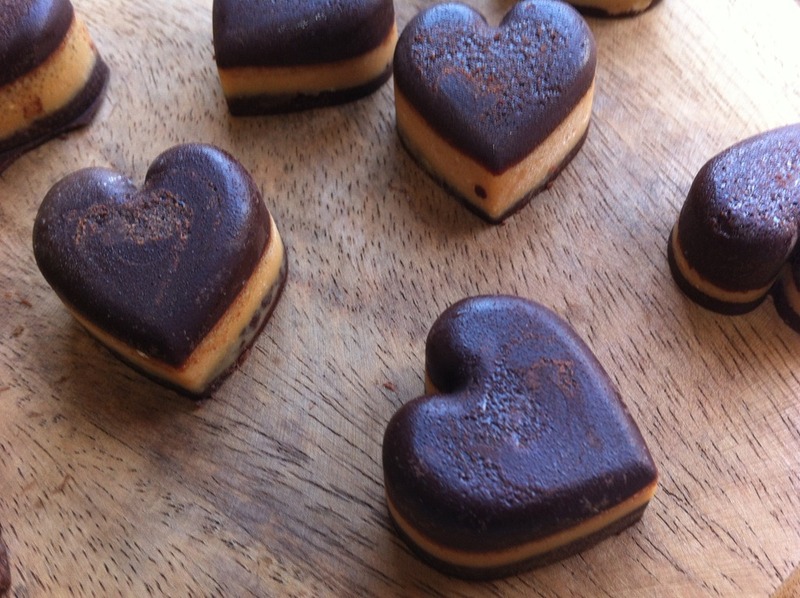 Now I think I can hear my Raw Chocolate and Salted Caramel Hearts calling me from the freezer. 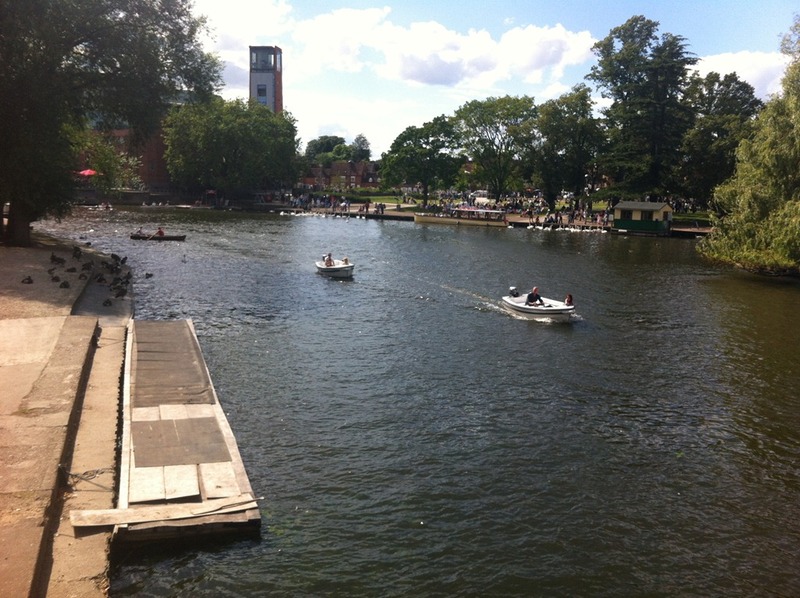 What have you been up to this weekend? Are you into arts and crafts? Do you like to do a lot of DIY craft projects? What happened to July? The month just zoomed by,and what a great month it was! It was so nice spending a bit of girly time with my mum. We found her a really lovely dress to wear to the wedding which she looks fab in! 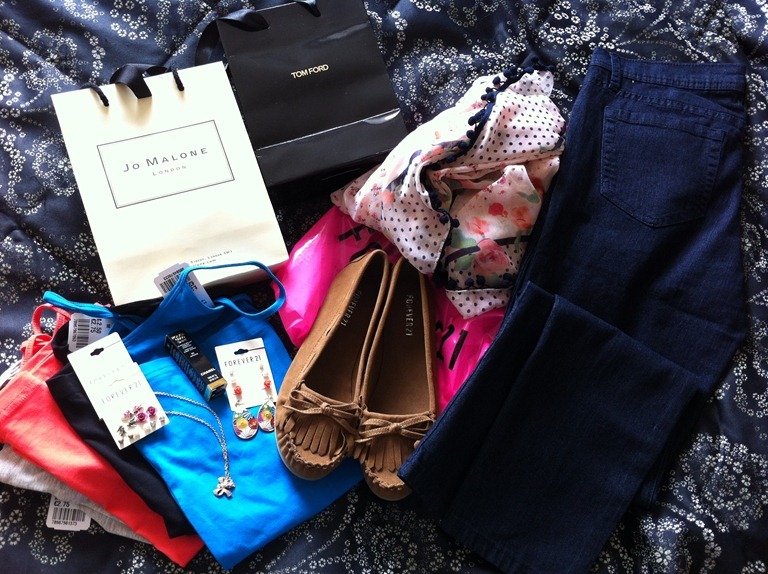 I also managed to pick up some treats for myself and Alfie, so it wasn’t a bad shopping trip all round! We also sorted out our wedding gift list at the beginning of the month, so exciting! Spending lots of quality time with my hubby to be was definitely a highlight of last month. 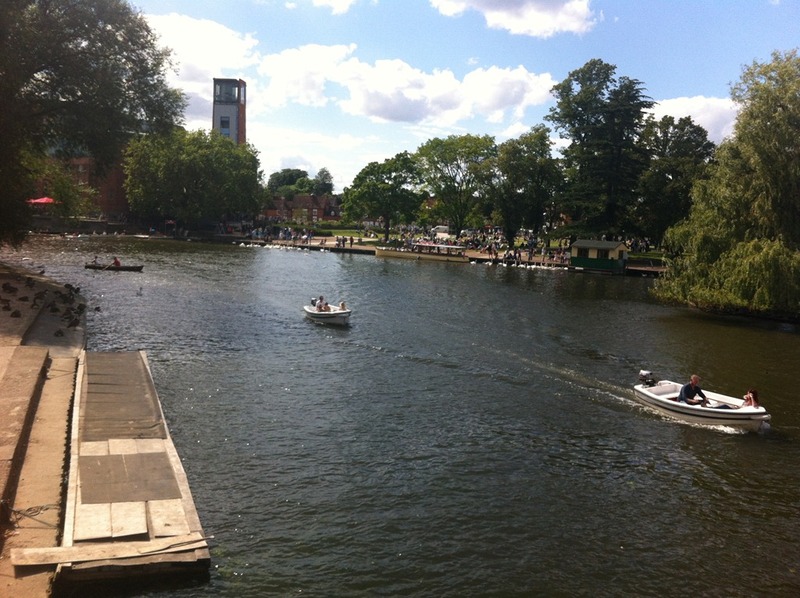 We enjoyed the sunshine in Stratford-upon-Avon and also had the most delicious meal at our wedding reception venue. Since we both lead such busy lives it was really nice to spend some special tome together. Last month also saw my first AXA PPP healthcare guest post series go live. The series concentrates on finding the motivation to exercise, which on some days I can relate to oh too well. 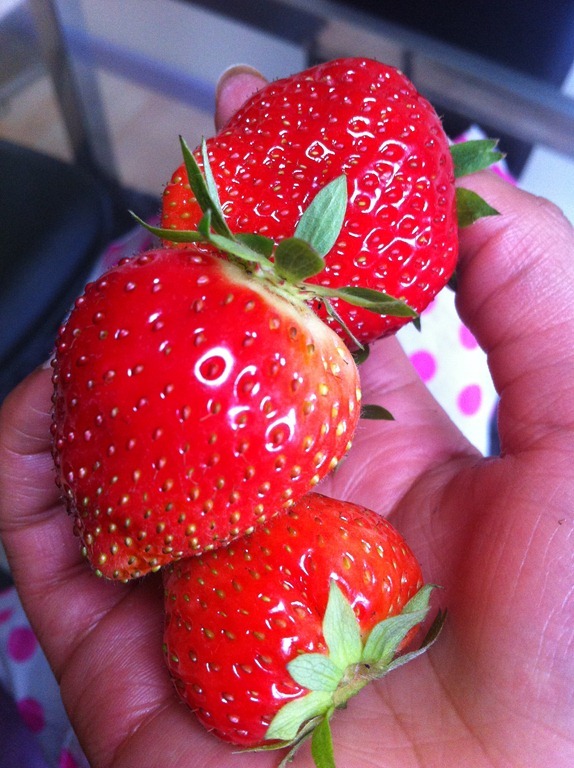 The strawberries that my Nan gave me a few months ago seemed to have a growth spurt as they are producing juicy and delicious fruits in abundance last month. My tomato plants are also doing so much better. It really is satisfying being able to go into your garden and pick your own. 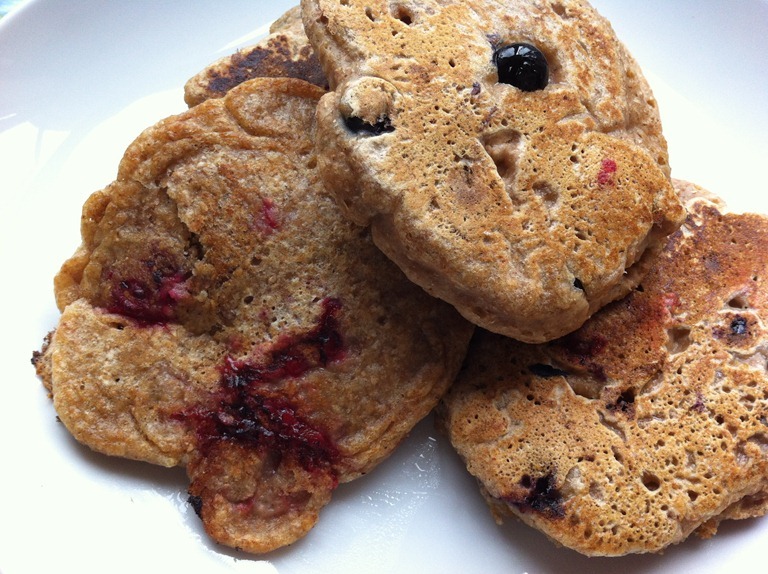 Raw Chocolate and Salted Caramel Hearts, Cherry and Oat Breakfast Muffins, Herbed Seitan Roll, Cherry Almond and Chocolate Protein Pudding, Blueberry and Raspberry Wholemeal Pancakes. I also posted a vlog on making work wear affordable and my review on some E.L.F Cosmetics that I received. Over the past few months I have come to many realisations about my perspectives on my eating and fitness which I documented in a post. I am definitely more relaxed where these things are concerned now and really content on just concentrating on being happy and healthy. Since my body pump classes have been postponed over the summer vacation I thought it was the perfect opportunity to try a new class. I’ve been trying to try a yoga class for ages so decided to pop along to a body balance class. Holy moly, this class is amazing! I am so in love with it and it has motivated me to up my yoga practice big time over the past few weeks. Wow, what a month! You can watch my favourite things from July here. Most of these aims are wedding related but with only 3 months to the day (wowzers!) 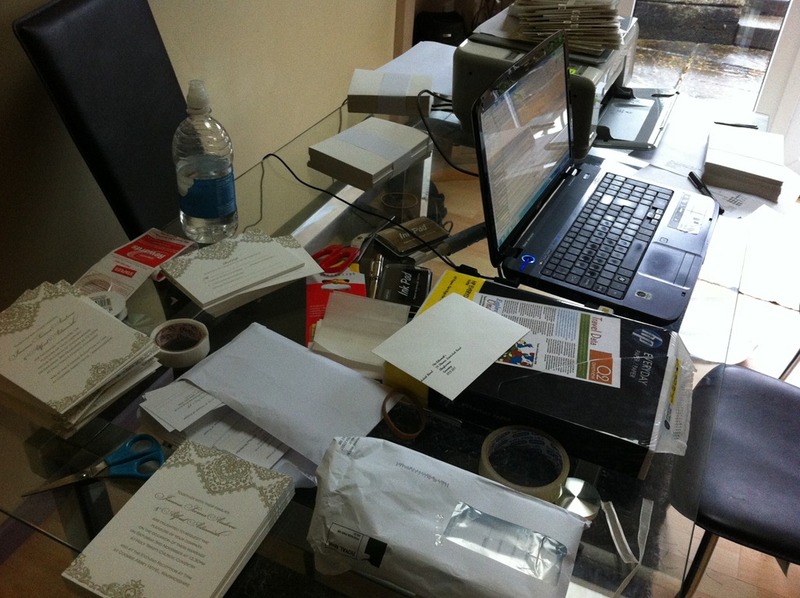 it is pretty much wedding HQ at my house at the moment. Obviously, another major thing is handing in my thesis…so much going on but it is all so exciting! August looks like it is going to be one amazing month and it’s already getting off to a great start, one for a reason which I don’t want to announce right now as a might jinx it and because my wedding invites are being delivered today! This month I want to give a big shout out to my blog sponsors for being so amazing, so please go and check them out and take advantage of my discount codes. Also, I would like to say a big welcome back to Munchy Seeds who are sponsoring the blog again. There is a giveaway coming your way from Munchy Seeds later this month so watch out for that. How was July for you? Did you make any goals and did you achieve them? What’s on the cards for August? 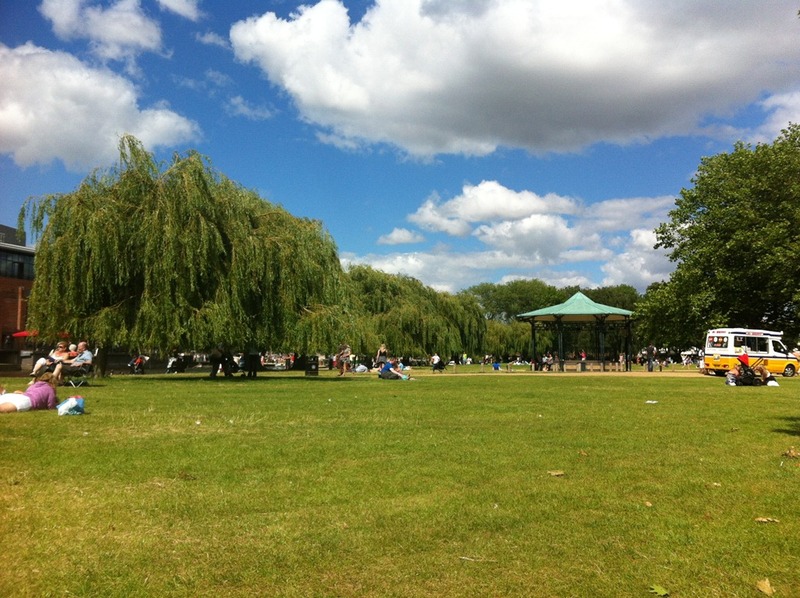 Pinch and a punch for the first day of the month- I hope August has started out on a high for you all! Well what a shocker the UK sunshine has disappeared to be replaced with rain and grey clouds again, geez should have known that it wouldn’t last. The changing weather has left me with a bit of a cold so I have been nursing that for the past few days, but I haven’t let it get me down though and have ben trying to carry on as normal. 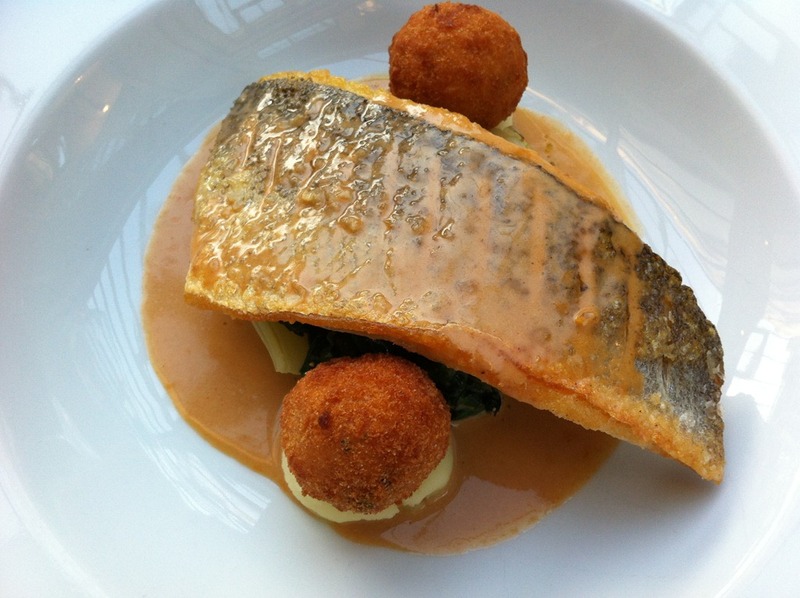 This week for WIAW I want to share my goings on from Monday because I was treated to a lovely meal and it was just so good that I had to share. 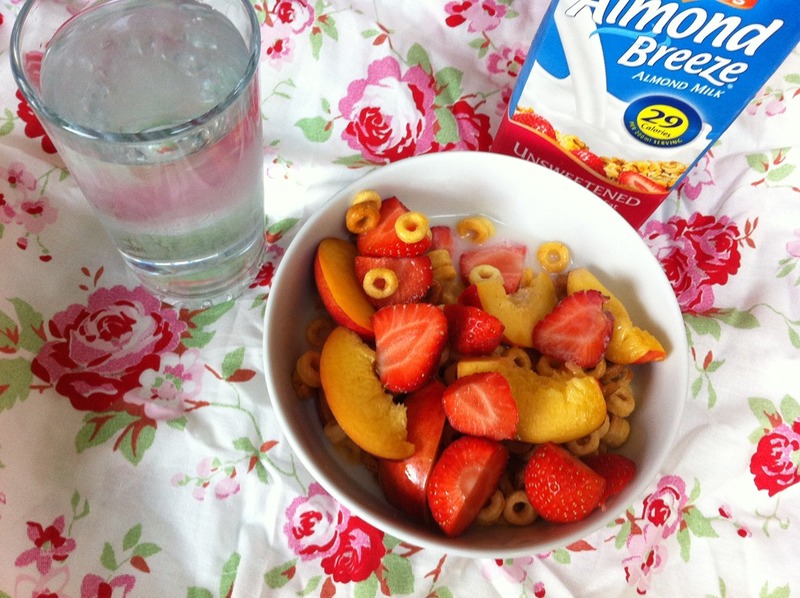 I kick started my day with a lovely bowl of fresh peaches and strawberries with some peanut butter Cheerios which was a nice treat as I have been trying to use them sparingly like I mentioned in my latest vlog. I poured over some unsweetened almond milk and had an ice cold glass of water too. I love adding fresh fruit to cereal, it definitely makes it more satisfying and another way to get in more fruit into my day. Later that morning we popped out to Hobby Craft and TK Maxx to buy some wedding craft supplies and props to dress the reception venue. I’m really happy with what we picked up, all that is needed now is for us to get our wedding DIY heads on. Shopping OOTD: beige cardigan: Zara, blue vest: Forever 21, skinny jeans: Forever 21, scarf: Forever 21, pink rose bud earrings: Forever 21, moccasins: Forever21. This outfit was a total Forever 21 love fest- such a great shop! 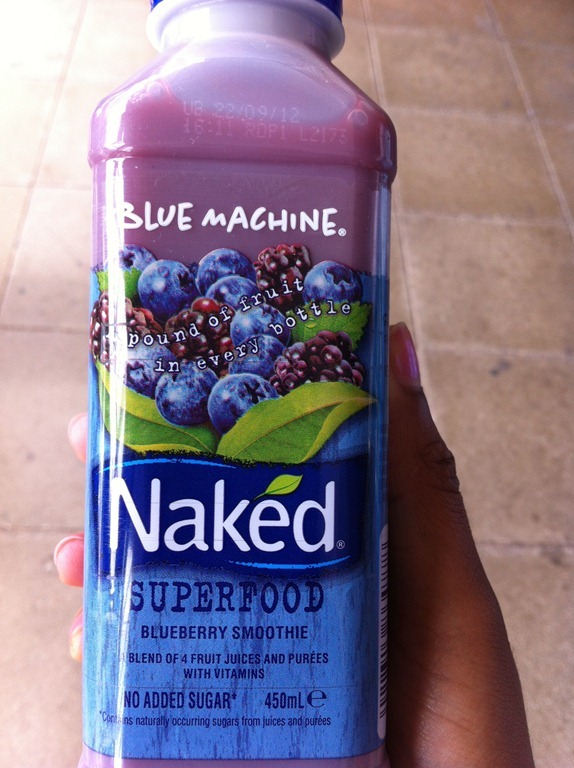 All of that shopping worked up my appetite so I picked up a lovely blueberry smoothie from Boots. These things are so handy when you are on the go! 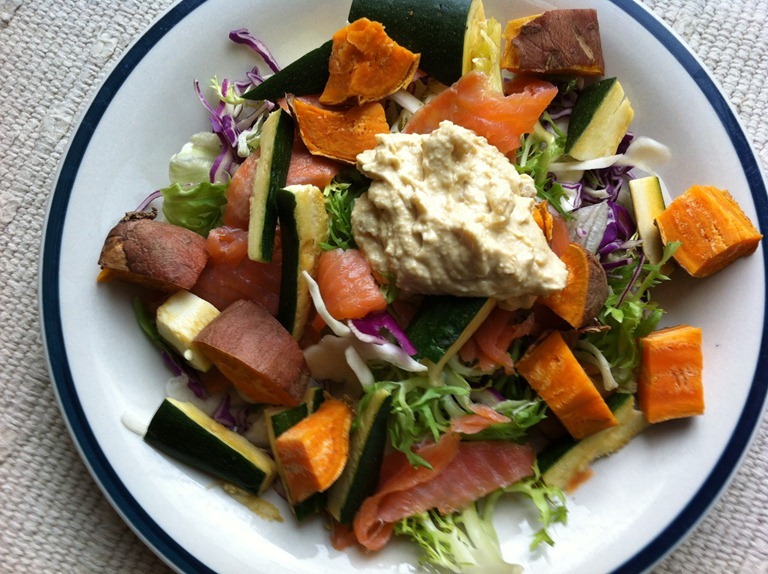 When we got home it was time for lunch so I made a lovely salad of mixed leaves, courgettes, smoked salmon, half a baked sweet potato and some chunk hummus, so good! 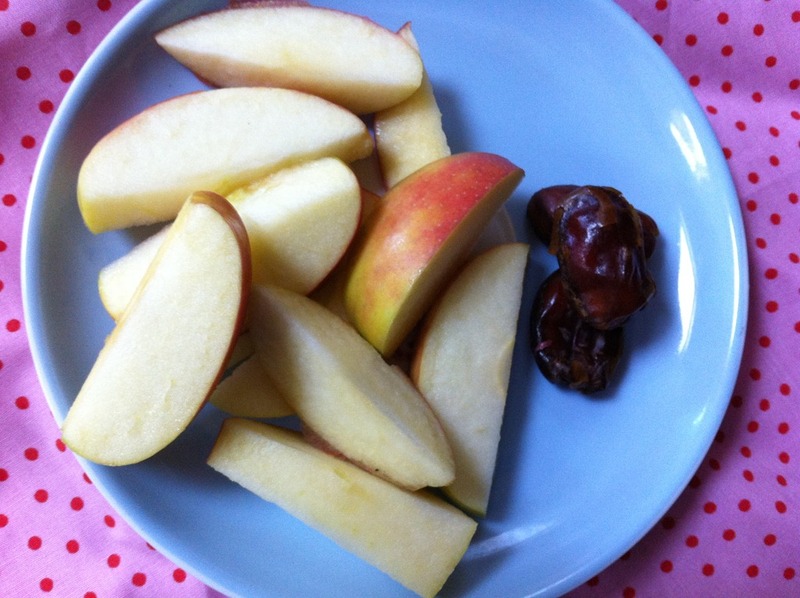 Afternoon snackage was a chopped pink lady apple and 3 pitted dates to tide me over. I definitely need this extra fuel to get me through Jillian Micheal’s Yoga Meltdown Level 1 workout- it’s such a fab yoga routine! Later on in the evening it was time to get ready for our date night. We headed to our reception venue for dinner. 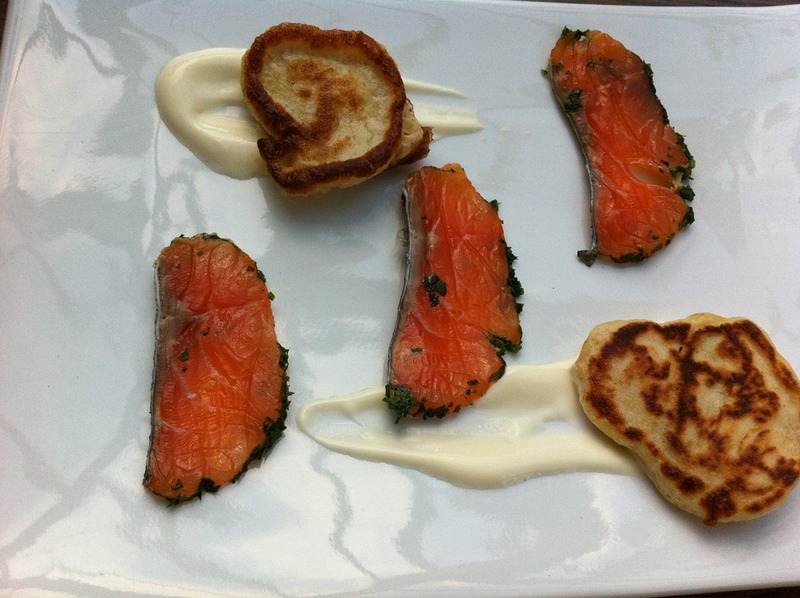 To start I had the salmon gravlax with Bellini’s. An dessert was just amazing! 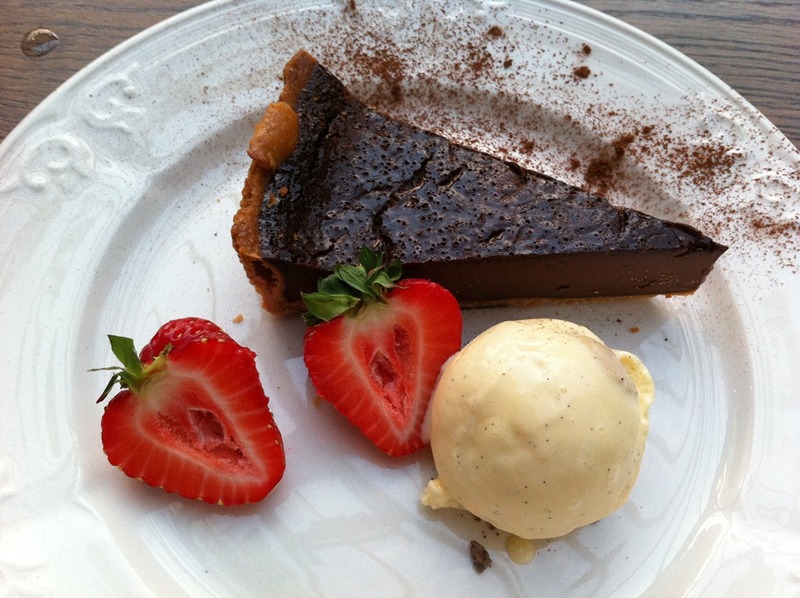 I delved into a delicious slice of chocolate heaven, a chocolate tart with cookie dough ice cream. I think it is easy to see that it was a pretty amazing meal. I’m so excited to see what they come up with for our wedding breakfast. This got me thinking about mine and Alfie’s first date. Our first date was seven years ago and we headed to Nando’s after work and went to watch a movie. Funnily enough Hitch was playing at the time so we watched that, very cliché I know, but it was such a great first date. Since last nights date night was in pour wedding reception venue it was amazing to realise how far that we have come as a couple. What did you do for your first date with your partner? Have you ever had a bad first date? What is the most delicious thing that you have had to eat today? 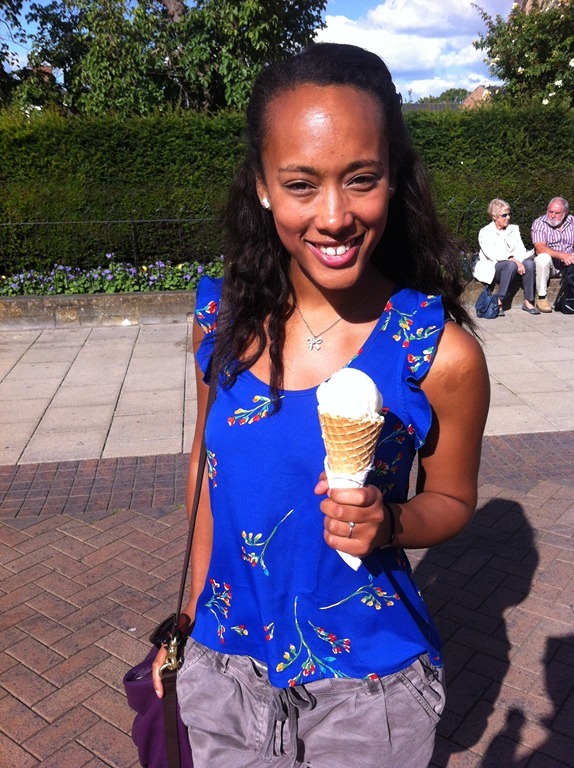 My blog is finally back up…yayyy! It was down early as I am finally making the switch to self-hosted as part of a big revamp of my blog. I’ve been blogging for nearly 2 years now so I thought it was about time that I had more control over my own blog. Anyways, in the meantime I have a little vlog for you sharing my favourite things from July. I thought I would jump on the bandwagon as I know a lot of other vloggers do them and they are so much fun! July was full of some amazing things, I cannot wait to see what August brings! I be posting my usual I *HEART* July post looking what I have accomplished over the month as a whole and the goals I have set for August later this week. What were your favourite things from July? Do you enjoy monthly favorite vlogs? Hey guys! I hope you have all enjoyed your weekends and the sunshine. Did anyone see the Olympic opening ceremony- Danny Boyle is a genius. Saturday: 3 mile run and yoga stretches including sun salutations, pigeon pose and the plough. I’ve really enjoyed this weeks workouts. Yesterday’s run was lovely in the morning sunshine and body balance was wonderful as always. 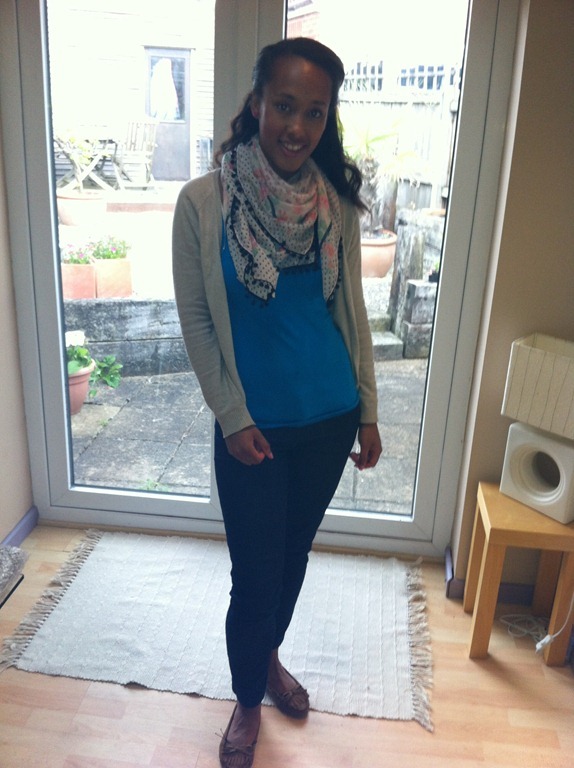 The Jillian Micheal’s Yoga Meltdown Level 1 was intense, I was so worn out afterwards! Well, I’ve had a fab couple of days. I had yesterday off work, so Alfie and me decided to make the most of the sunshine and spend some quality time together. It feels like forever ago that we spent some time together properly as are working schedules are different most of the time and he works away during the week. 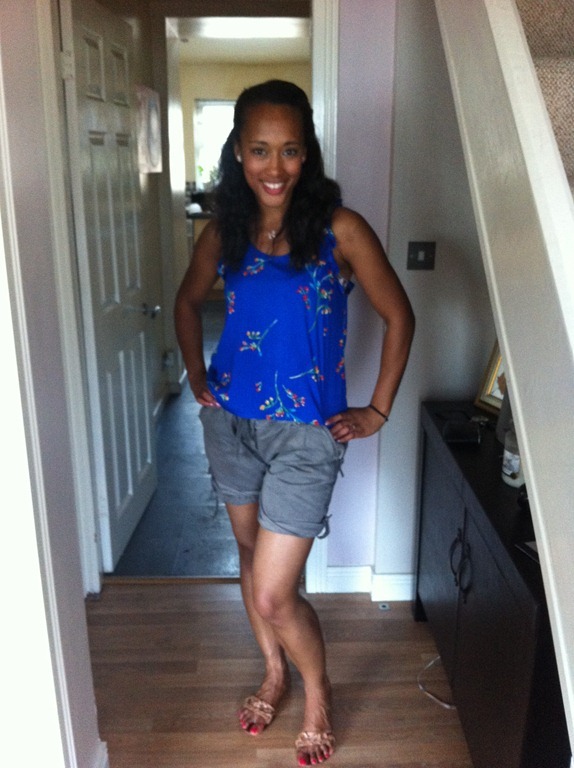 OTTD: blue floral top: Newlook, utility shorts: Warehouse, sandals: Evisu, hear vintage earrings: Forever 21, pink bow necklace: Forever 21. 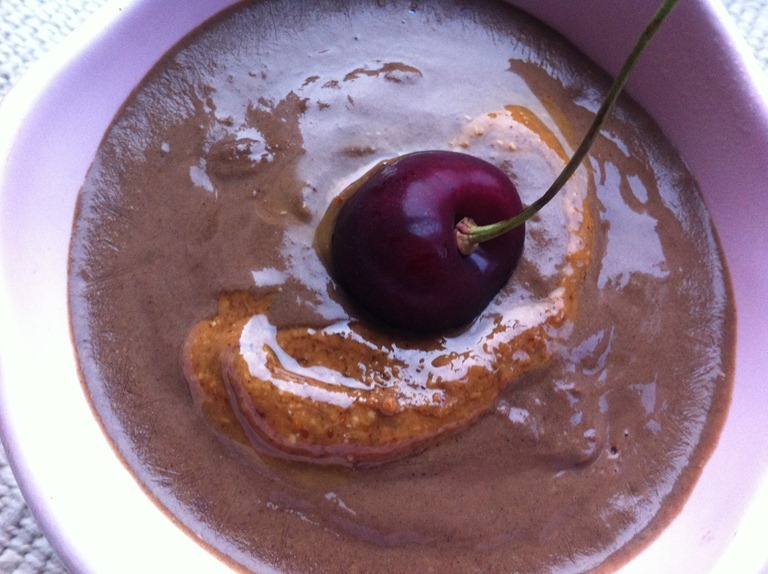 Before heading out I made a lovely breakfast of basic green smoothie made using ice, hazelnut milk, kale and a banana with cherries and a chopped pink lady apple on the side with some white chocolate wonderful for dipping. 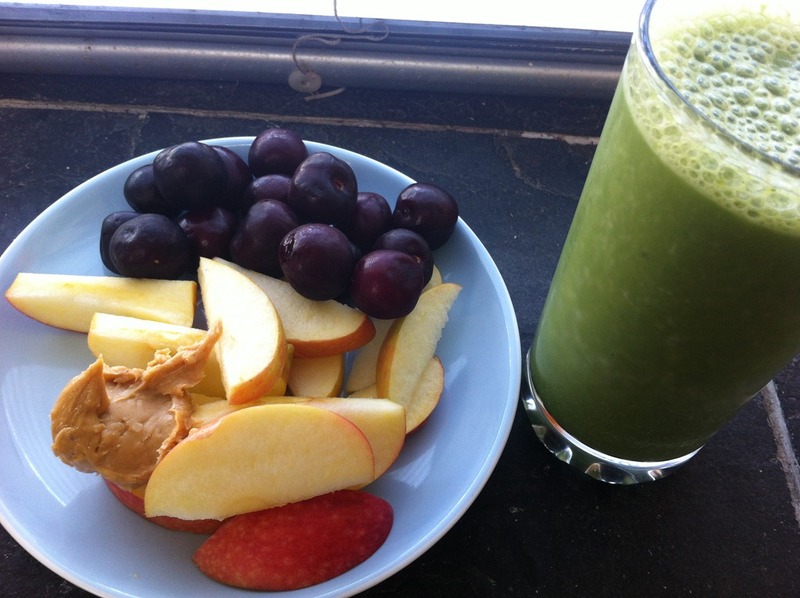 I love simple breakfasts like this, the hazelnut milk made the smoothie extra creamy too, yum! 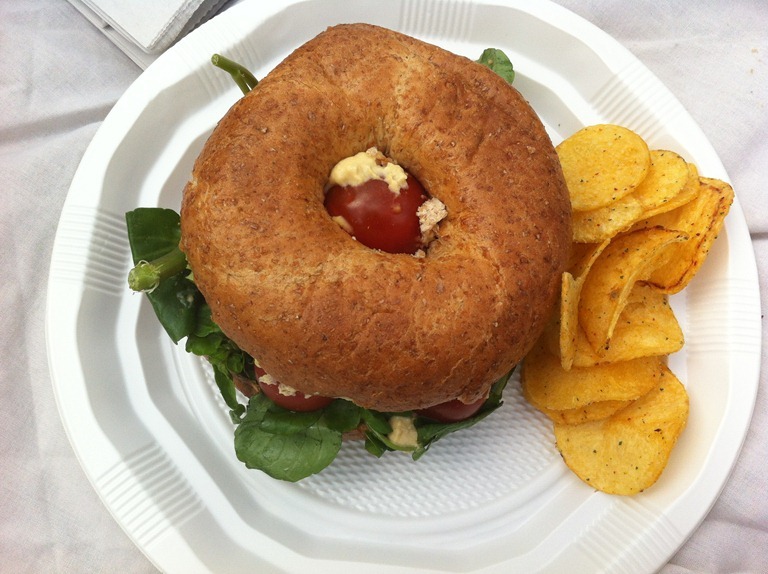 A wholemeal bagel stuffed with loads of hummus, watercress, and cherry tomatoes- definitely a fab combination! I also had some Thai sweet chilli crisps on the side, which was a bit different from my normal foods, but they tasted oh so good! 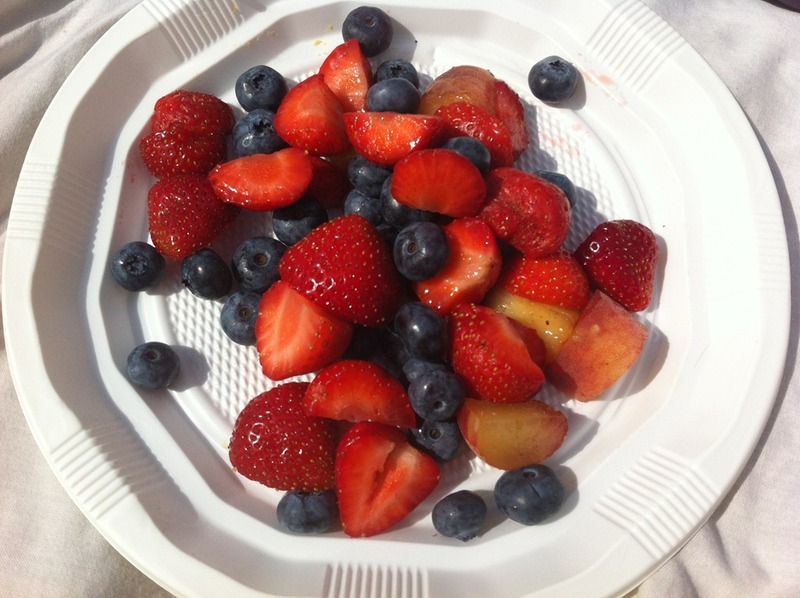 Chopped strawberries, doughnut peaches and blueberries made a really great picnic dessert. 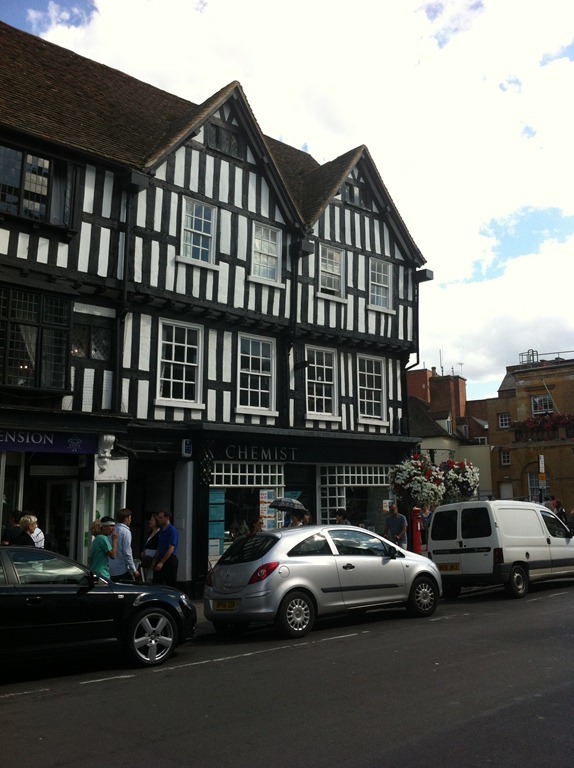 Stratford really is a beautiful town full of so many interesting and historical buildings. 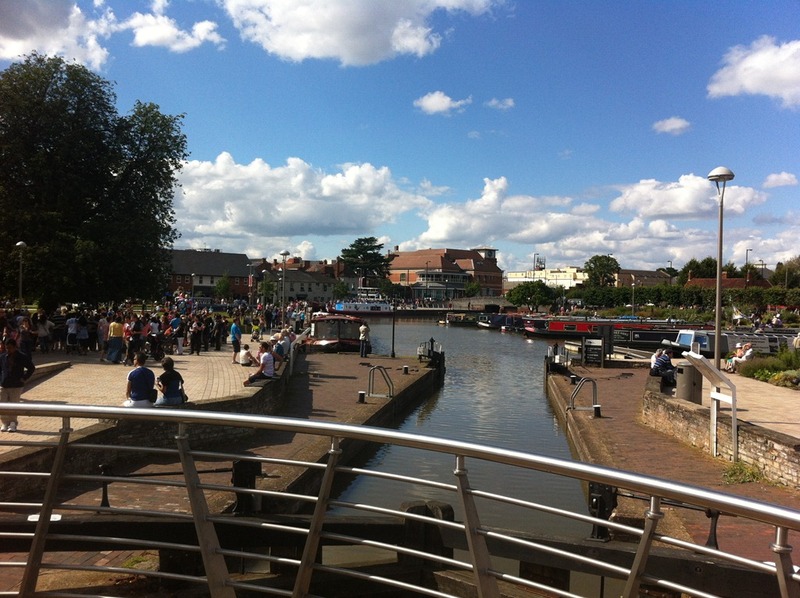 I love cultural towns like this and it was just seeping out of every crevice here. During are little exploration we found a quaint little chocolatier that also sold organic farm fresh ice cream, so of course we couldn’t resist and both had some. 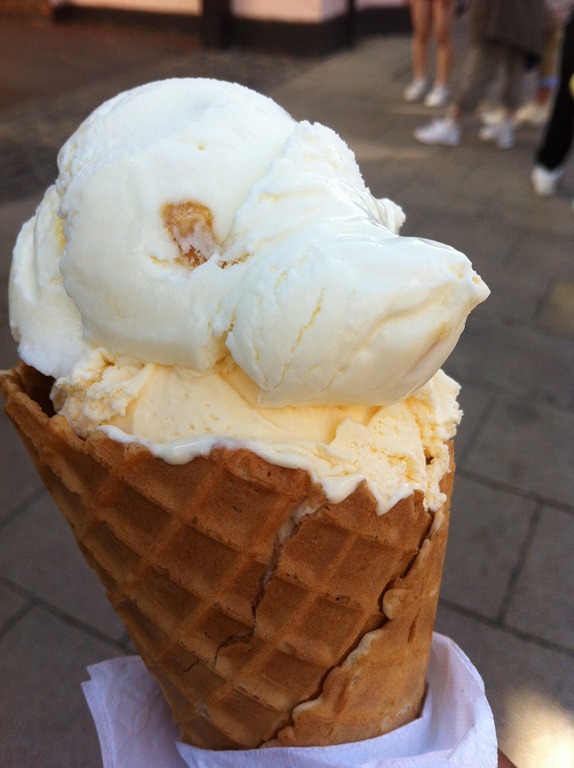 I had a scoop of the honey comb and a scoop of the lemon meringue ice creams. This the most creamiest ice cream EVER, my favourite being the lemon meringue. It reminded me of lemon sherbets that I used to eat a lot when I was younger. 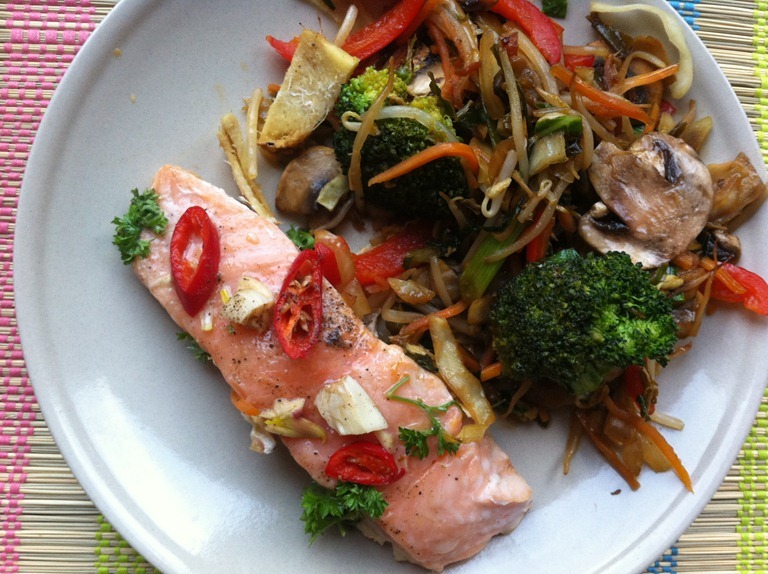 Baked salmon with garlic, red chilli, ginger, lime juice, mirin, soy sauce with stir fried veggies in a char sui sauce, delish! I baked the salmon in a make-shift foil bag so it would steam and take on the flavours of the ingredients and boy it did! 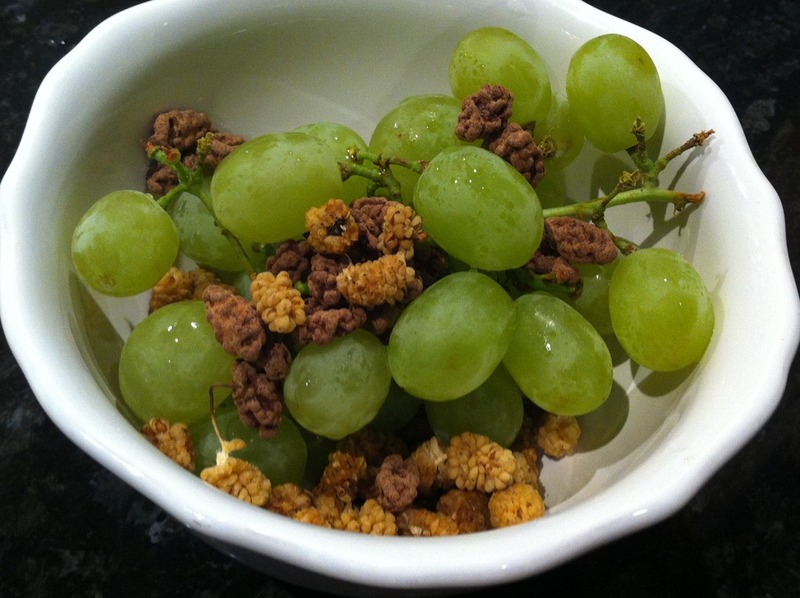 Said snack- grapes, dried mulberries and raw chocolate covered goji berries. 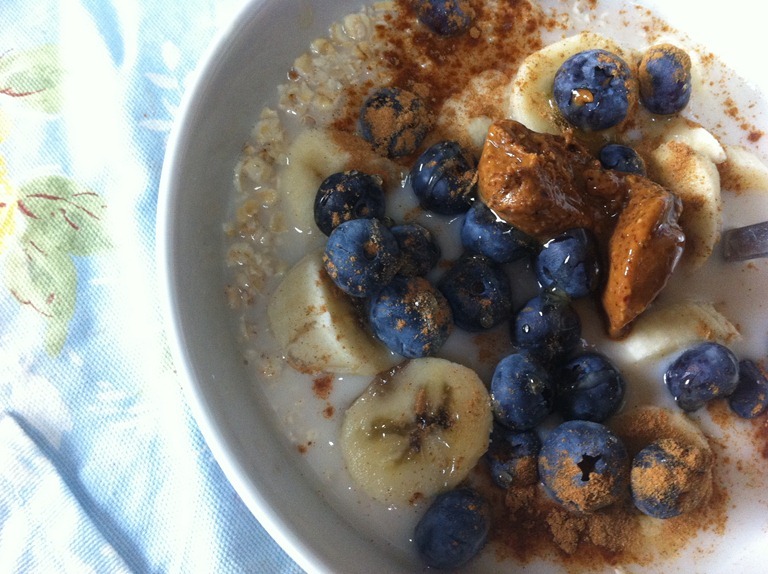 Overnight oats in almond milk with blueberries, banana, honey, cinnamon and almond butter. 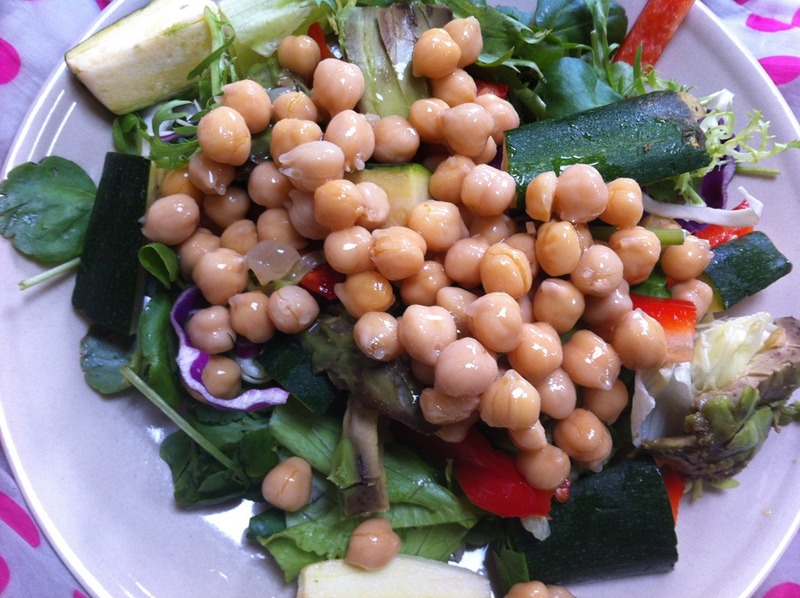 Salad beast of watercress, salad leaves, avocado, courgette, red pepper and chick peas. It has been so great spending some quality time with my hubby to be. I guess be busy all of the time with our own stuff makes the time we spend to together that extra special. How do you like to spend quality time with your loved ones? Do you find that absence makes the heart grow fonder? Enter vp7 at the checkout to recieve 7% of ALL of your orders! Celery and Cupcakes · …on a quest for that healthy balance!